Adding more ordering/payment channels (both on-prem and off-prem), creates new complexities and challenges for restaurant operators. Historically, restaurants are used to controlling the transaction flow – either from managing the queues at a quick service/fast casual restaurant or managing the table turns in a table service restaurant. Now, with the rise of delivery marketplaces, mobile applications and in-store self-service, restaurants need to compete at a higher level and adapt to an omni-channel ordering environment. This means ensuring proper routing of orders into the kitchen, a focus on food quality and distribution at the right time and data/analytics to measure and improve the performance of the kitchen. The Delivery Revolution – Order and pay apps – both brand-specific and third party delivery marketplaces – are quickly being adopted by consumers all around the world. Services, like Grubhub or DoorDash, are becoming more popular outside of urban areas and are bringing greater convenience to consumers looking to order in from their favorite local restaurants – restaurants where delivery may not have been an expectation previously. To meet this growing consumer demand, restaurants need robust production systems to accommodate the flow of orders into the restaurant from multiple channels. The Rise of “Build-Your-Own” in QSR – Consumers have been gravitating to “better” quick-service restaurants, which has transformed the QSR and fast casual industry. That has created a subset of “QSR-Plus” concepts with fresher menus and more contemporary designs, which exploits a price threshold between fast food and fast casual and gives more power to the consumer in terms of order customization. This has resulted in “build-your-own” menus springing up across the industry, and with those come a need for kitchen production systems that offer precise order routing and bin management to accommodate this trend. Speed of Service – Consumers no longer have any patience for waiting in lines or waiting for food. It will be critical for restaurants to add technology and systems to their operations to remain relevant and competitive in an omni-channel world. Growing Dependency on Kitchen Data – Real-Time production metrics are fast becoming a requirement for restaurants. To successfully meet the rising omni-channel demand from consumer orders, as well as accommodate third-party delivery providers, operators need to be able to gauge order volume, production status, progress, order times and staffing levels within their kitchen in real-time. Food quality is no longer the most important piece of a kitchen – it’s quickly becoming data and analytics. Labor Efficiency and Optimization – Restaurant operators are looking to ways in which they can streamline, or re-purpose, their labor. Labor costs are already high, particularly in dense population areas, and are poised to rise further. 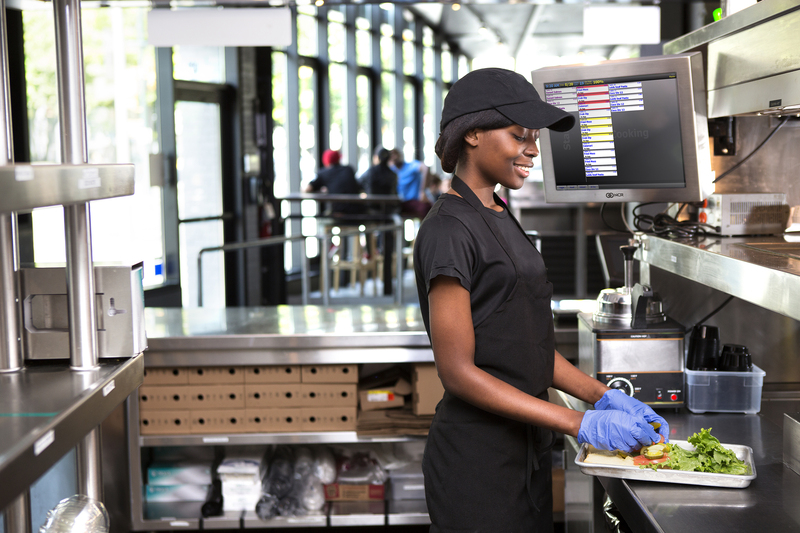 Therefore, the ability to reduce labor in areas such as the cashier, or re-purpose labor that was traditionally stationed in the kitchen, has become top-of-mind for restaurant operators.